I’ve been doing small quickie projects in my world just to pass time and fill up space. (Also procrastinating from finishing other stuff.) Finished up three smallish things. There’s this log cabin style house in Orange, MA on Rte. 202 (its here, if anyone wants to look at it in Google Street View) that we pass a lot on the way to Rt. 2. 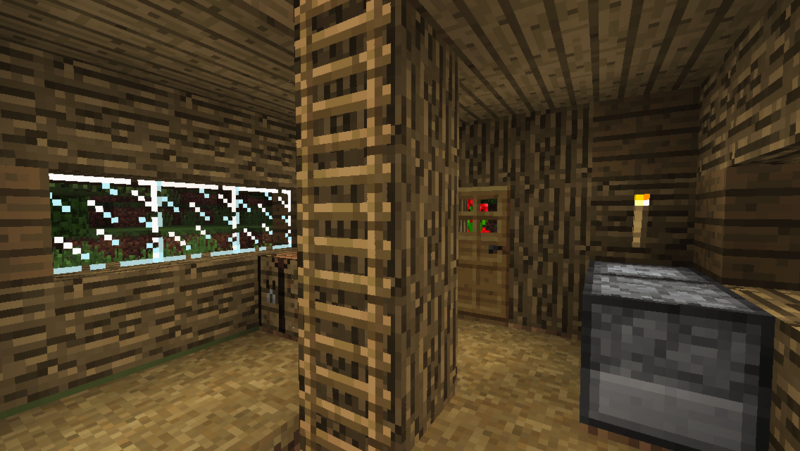 Every single time we did I kept thinking “oh… I should try making a log cabin in Minecraft” and then promptly forgetting about it. And then I didn’t forget. 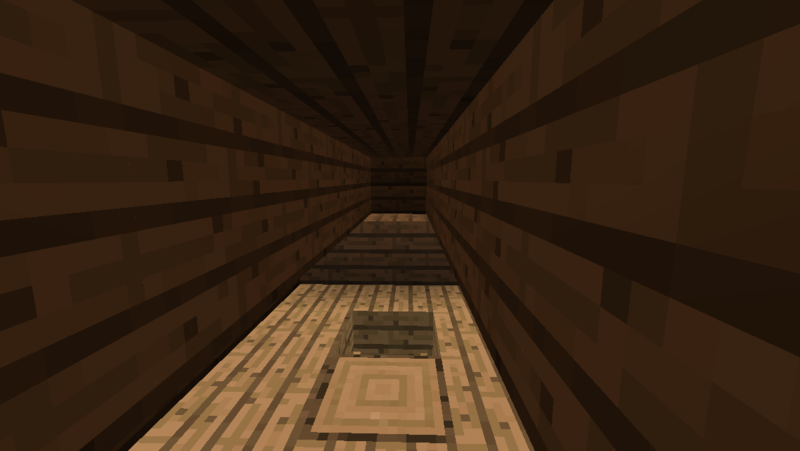 The attic came out claustrophobic because I mathed wrong. 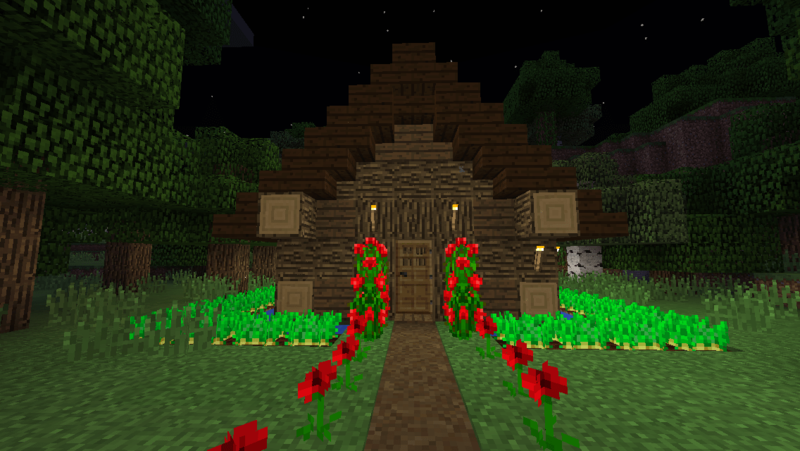 This was sort of a test run for what I plan to be the house atop my base on WSE, and I’m kinda glad I did it here first because I’m not quite happy with the way this came out. 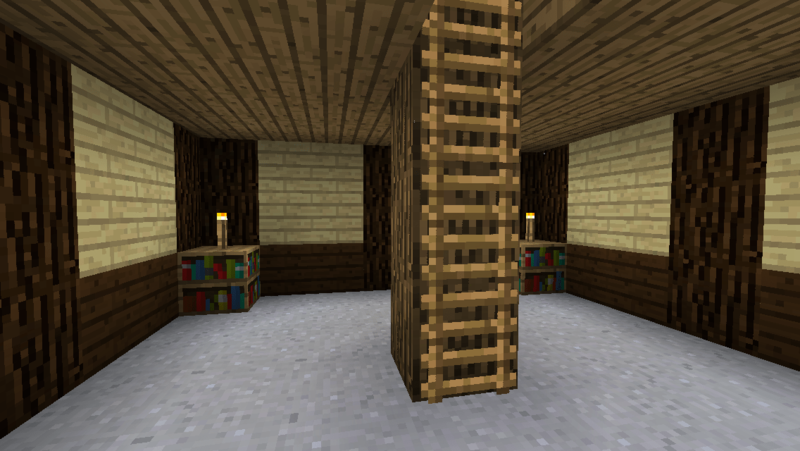 I think next time I attempt something like this a) wider on all sides so I end up with more of an attic, b) make the sides an even number of blocks so the roof peaks better. But for what it is, it’s kind of adorable. 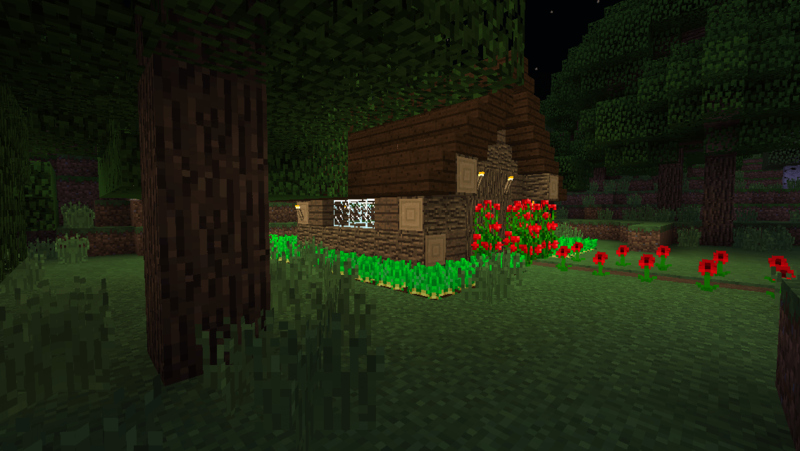 I think I will definitely be making more of this style house with different woods in the future. 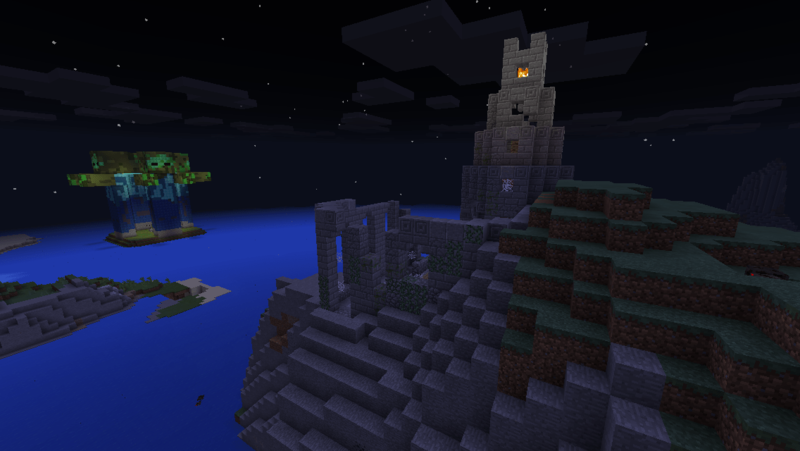 Located on a small island not far from The Four Guardians is a ruin of… a small castle? 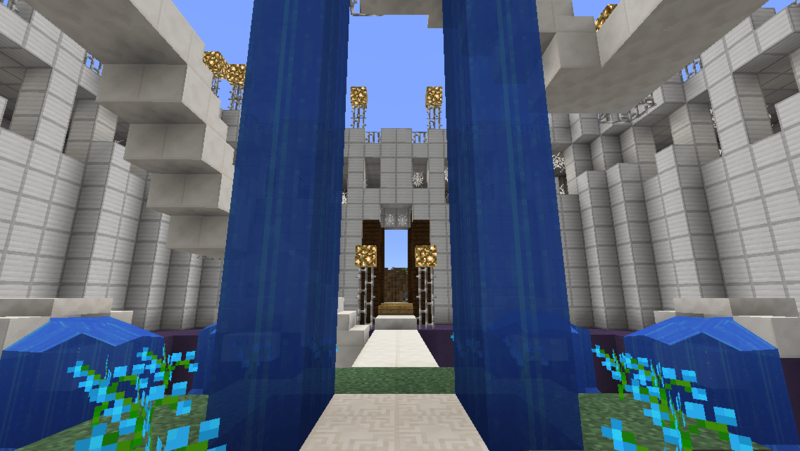 a cathedral? a watchtower? People exchange theories about it in whispers, discussing the horrors that can be found within its cracked, mossy walls. Legends about about the source of the flame that still burns at the top of the crumbling but mostly intact tower that still at one end and never seems to go out. Perhaps it is demonic in nature. No one really knows…. 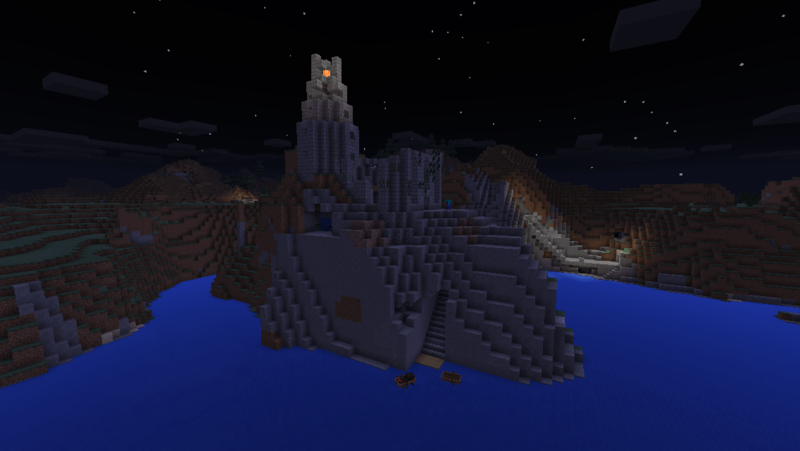 Okay reality time – I started building a castle/cathedral thing on this island and kinda lost steam midway through. I’d put a bit of work into it, though and didn’t want to lose it completely, and then I got the idea of “ruining” it. So I built a 4×4 TNT bomb at one corner, set it off, then rebuilt some of the destruction with mossy cobblestone, mossy brick and cracked brick, strewed some cobwebs about, and then tossed in a few monster spawners. Voila, haunted ruin! Significantly less creepy during the day. 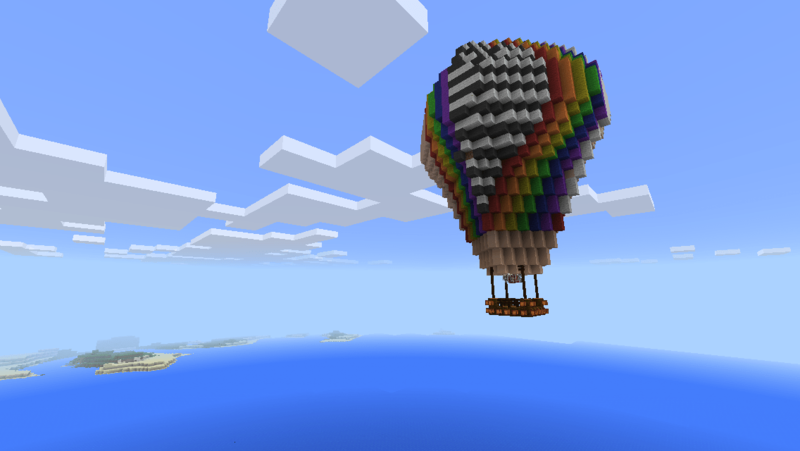 I adore hot air balloons. There’s something rather intensely romantic about them. Honestly I am a fan of a lot of floating air transport like balloons, blimps and zeppelins. The latter are quite relevant to my steam- and decopunk interests. I was initially thinking of making a zeppelin, but decided I wasn’t up to math-ing out an ellipsoid, but I could probably manage a sphere. I didn’t quite, but came close enough I think. Cocoa ballast and a passenger! The really fun part about the balloon though is the inside. Is that… dirt up there? huh? When I was building out the shape I was using dirt to pad out the clay so I had something against which to lay the next layer of it. 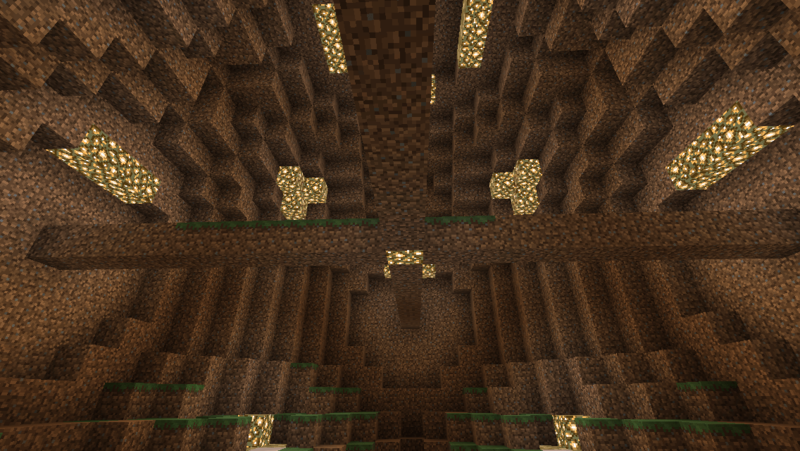 Since I was kinda to lazy to remove it, it ended up being this bizarrely neat looking spherical interior. Monday night your intrepid heroine and host of the server came home with a horrid stomachache, so I canceled server time for that night. To make up for it I ran Wednesday night instead. 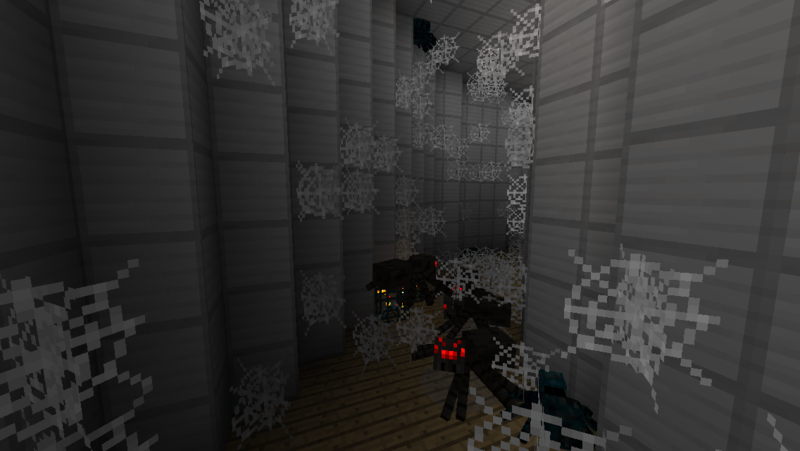 It was a fairly low key evening with a bit less lag and voidspawning than usual and people mostly worked on their own stuff. 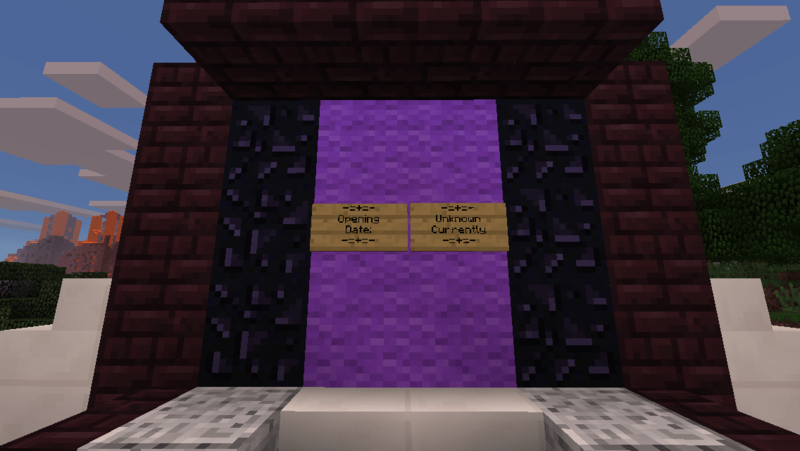 DoublePositive, anticipating 0.12, built a nether portal behind spawn and finished up stuff in Spawner Land. 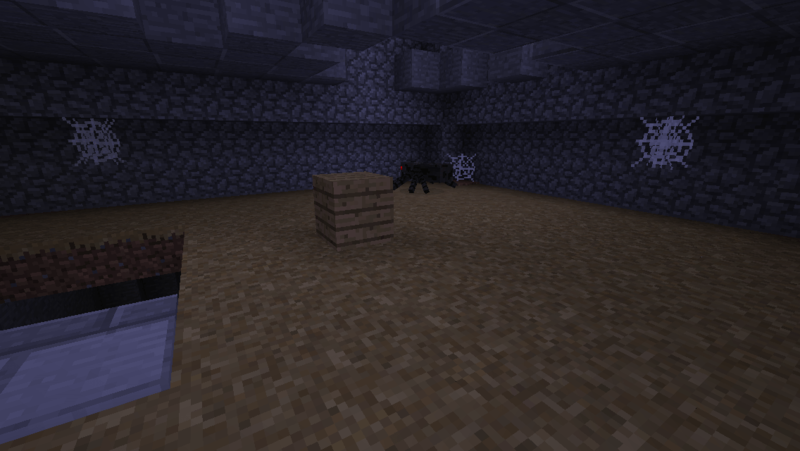 Also in the spirit of preparing for 0.12, 576875 went out to the Troll village and started shoring it up against Things to Come. 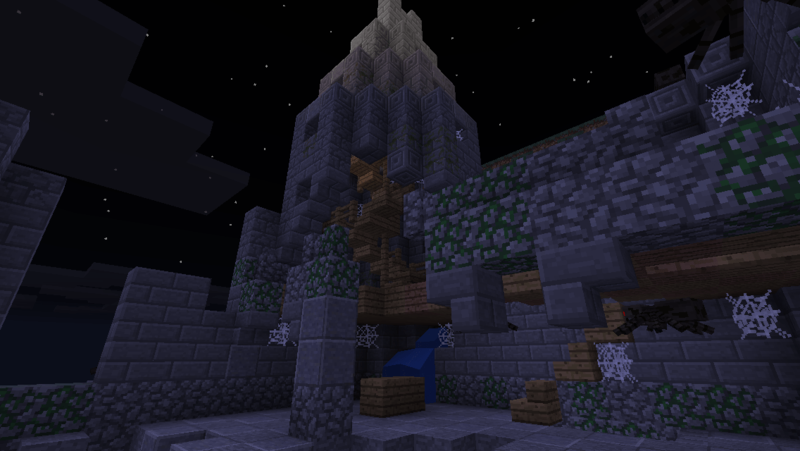 Hachi finished his water temple and made it super creepy by filling the fort part of it with spiders. 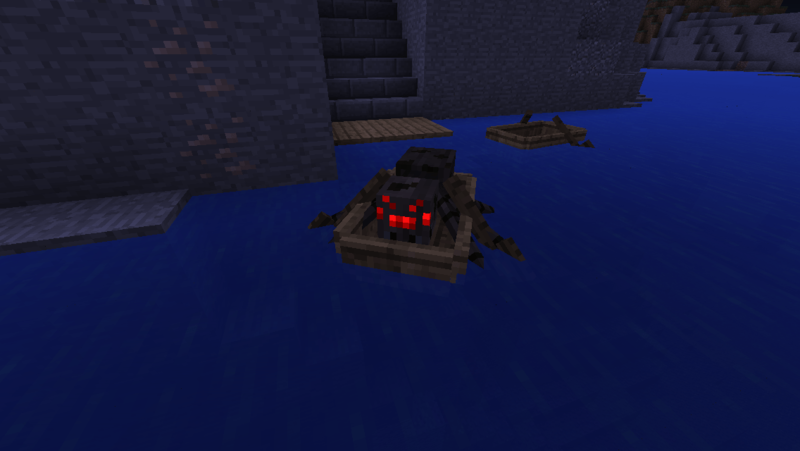 Dyaaagh Minecraft spiders will never not creep me out. And I like spiders in real life! Anyway I hope Hachi posts about it at some point, there was a whole backstory and mythology that went with this build. Maybe when he finishes the companion structures he’s planning. 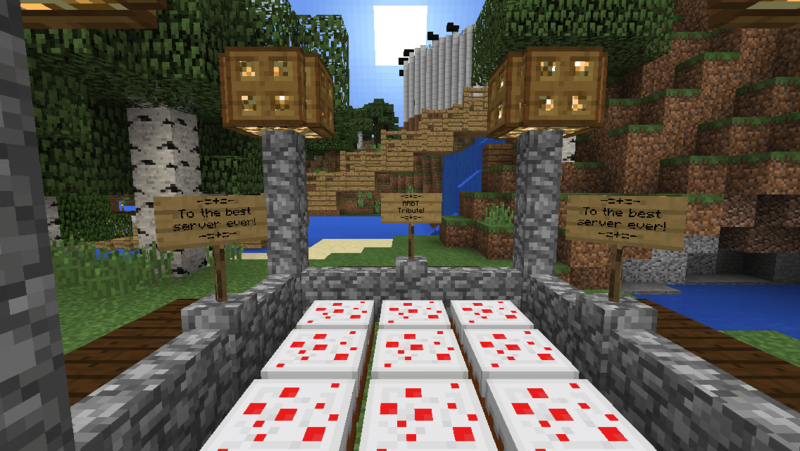 We were also joined by Batman3054 from Worst Server Ever, who set up shop near DoublePositive’s. And Swarmhut did something adorable besides flit around dressed in a bee suit. There was also a fair bit of players getting bored with stuff between building and trying to reel each other in with fishing lines. I don’t know why hooking other players works (bug? feature?) but it does mean that if you go AFK (which I did a fair bit last night owing to some real life things demanding my attention) you could come back to find yourself sowmwhere completely different, or, what happened most often to me, up a tree with weird structures built around me, lol. Not so sure I like being fished as it always seems to happen when I’m in the chat window and can’t really see whats going on, but it’s a thing, and the gang is trying to brainstorm possible games to make up around it. 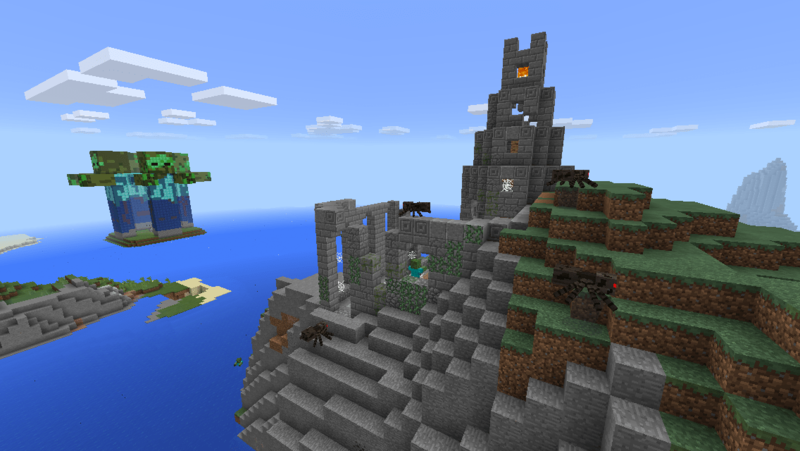 At the end of the evening Hachi took off due east from spawn and stumbled into a huge desert waste bordered by jungle and savannah, and across the sandstone village pictured above seated at the edge of it. (We looked. 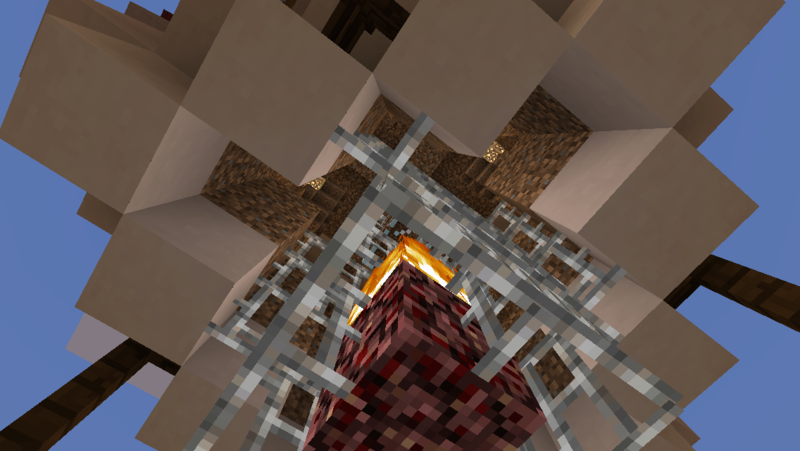 No stronghold, but hey, mineshaft!) Guess I know where I’m running some road this week. 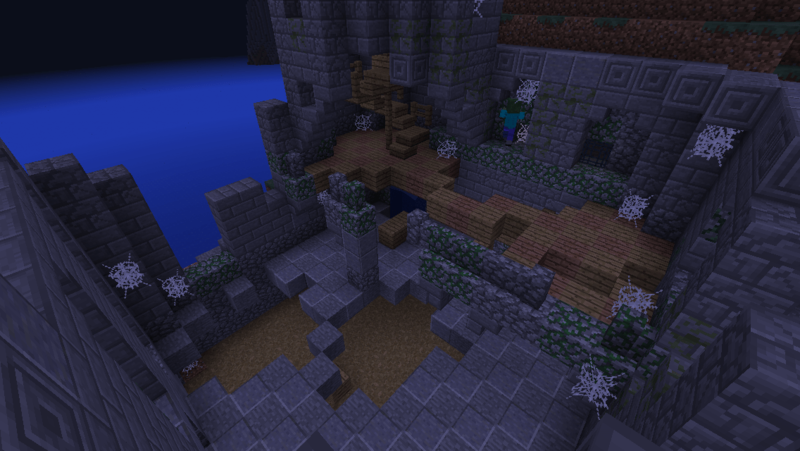 Interestingly enough this was a part of the map that I had explored briefly before when I first started playing in it a year ago. Well, “explored” is a generous word, got completely lost is more like it. 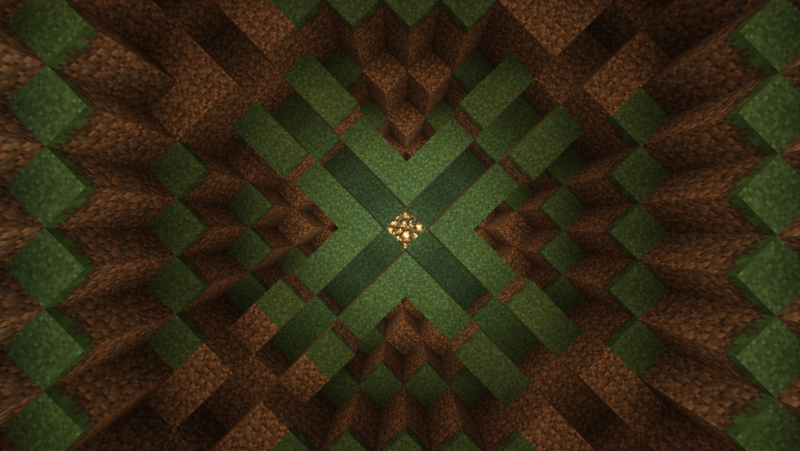 This was in the very beginning when the world was still Survival, I didn’t know the cobblestone trick yet and hadn’t put together a compass. 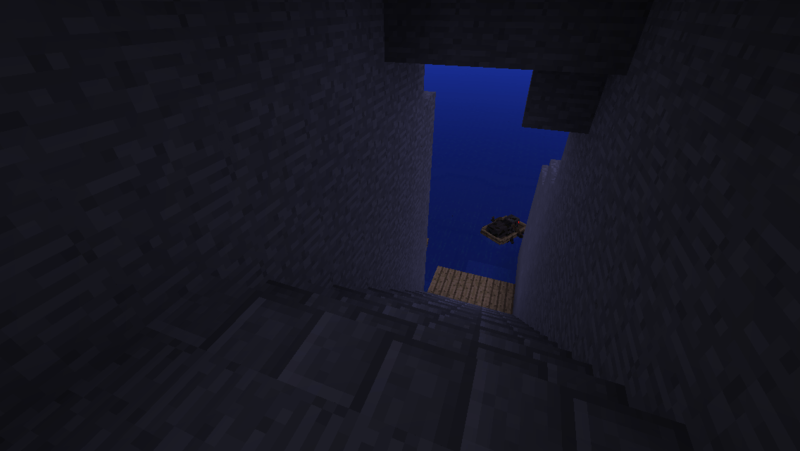 So I started marking my trail with torches on blocks and swam when I came to the edge. I got lucky and ended up very close to spawn on the other side. I’d meant to go back sometime, but never got around to it until last week when I blundered into the jungle biome on the desert’s other side. Hachi continued flying far out past where I explored and the new terrain generating made for interesting errors on the rest of our parts – namely have terrain disappear out from under out feet. Note to self, the game does not like it when players get too separated. 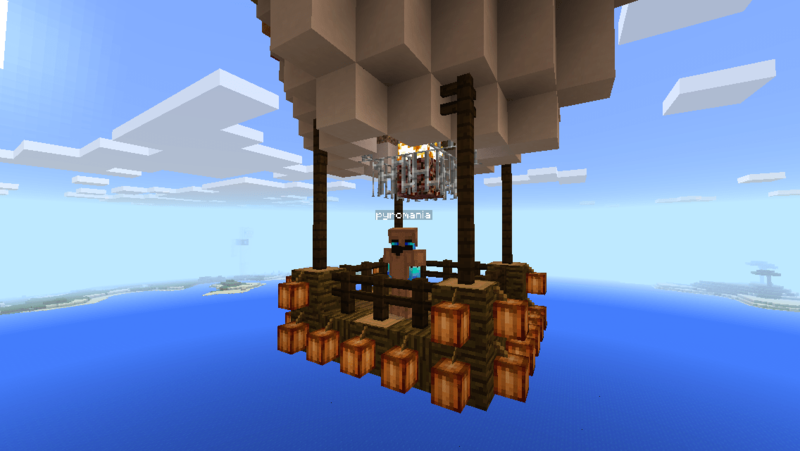 Meanwhile in other news, I’m in the middle of three build posts (sigh) and I really must make some posts about my adventures on Worst Server Ever and musings about possible hosting solutions for the game. 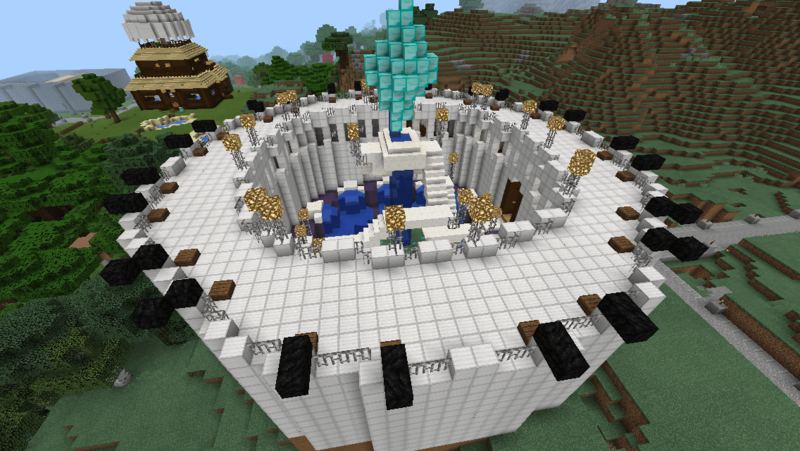 I’m also working on an out of game but still Minecraft related project for the Wee Beast’s birthday. There are not enough hours in my day, I swear.